Ladies and gentlemen: we have a winner in the much ballyhooed tablet war -- and it's not a strictly a tablet. 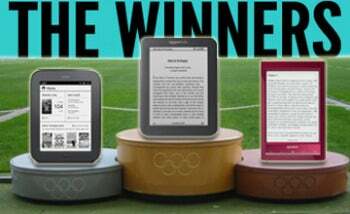 Without a doubt, the winner is the old-school, E Ink-based e-reader. The e-reader's greatest accomplishment is that it is a purpose-driven technology that hasn't been rendered obsolete by splashy, multimedia friendly, color-capable tablets. Despite the tablet frenzy, both Amazon and Barnes and Noble are still committed to improving their respective e-readers and building the biggest e-book library out there, adding loanable e-books and partnerships with public libraries. 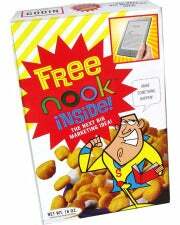 E-books are still hot and desirable… unlike other casualties of the tablet wars, such as the netbook. E-readers have made huge leaps since becoming the "it" product, back in 2007 with the release of the original Kindle. Now the leading e-readers—Amazon’s Kindle and Barnes & Nobles’ Nook Simple Touch, are smaller, faster, boast higher contrasts, are touchscreen-capable, and have huge storage capacities. Most importantly, they're significantly cheaper. As Amazon focuses on media consumption with Kindle Fire its e-book readers have lowered in price. The original Kindle debuted at $399, dropped to $279, then $259, and then, upon the original Nook's release, went to $189 (for the version with both 3G and Wi-Fi). Now you can buy an E Ink Kindle for $79 (Wi-Fi only, with Amazon’s “Special Offers” advertisements); or for a touchscreen e-reader, pay pay $99 for the Kindle Touch (Wi-Fi only and with ads) or for the Nook Simple Touch (Wi-Fi only). As e-reader prices plummeted, features improved. Released two years after its predecessor, the Kindle 2 was 50 percent thinner, improved battery life by 85 percent, ballooned storage to 2GB from 256MB, and showed 165 shades of gray versus only four shades in the original. Another two years went by and the third-generation Kindle improved on that -- two ounces lighter, 50 percent clearer contrast -- until today, when the Kindle Touch barely resembles the original in looks, feel, or function. Similarly, when the Nook Simple Touch debuted, it blew the original Nook out of the water at more than 4.5 ounces lighter, 25 percent faster, and a huge, two month battery life. Sony, which also just joined the tablet wars, updated its Reader to version PRS-T1, which retails for $149 and is the lightest of the bunch at 5.9 ounces. Fake tabloid e-book cover you likely will never see in your magazine checkout stand. Fortunately for consumers, e-reader prices keep dropping. The Nook Simple Touch dropped from $139 to its new $99 price (competitive with Amazon’s “Special Offers” version) in the space of five months. And the price drops may not stop there. Analysts have speculated that e-readers may drop to the low price of zero dollars. Engineers are developing cheap, disposable electronic paper displays that could replace mass market paperbacks in your local grocery store check-out aisle. At some point in the future, it would make sense for either company -- but Amazon especially, given that it's essentially an entire shopping mall and not just an extended bookstore -- to give away e-readers for free in order to heighten brand awareness and bolster e-book sales. Comparisons between e-readers and tablets are now rightfully deader than dead; they're entirely species with separate markets. E-readers are for reading. The latest and greatest offerings from Amazon and B&N are budget tablet media consumption devices with some optimizations around reading as compared with general tablets. And in this distancing from the tablet wars, e-readers have thrived, whereas scores of tablets have struggled to succeed and some have perished. So if you want to crack a book without physically opening one, now's the best time to get an e-reader.